You did not know how to link aadhaar card with bank account. 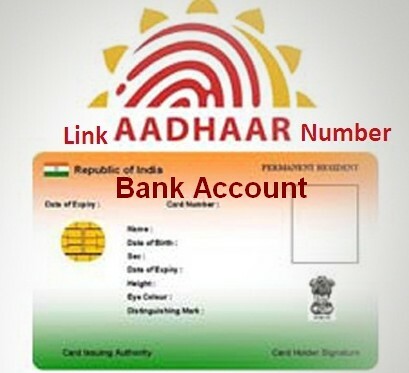 Do not worry here i will try to explain the process of linking aadhaar card with bank account. There are two process one is online and other one is offline, it’s up to your choice. This process is very easy and simple. If you have a internet banking access then online mode is best otherwise offline mode. You can link any consumer of bank like SBI, HDFC, ICICI, AXIX, PNB, Dane Bank, Ect. When ever you fill the details you must be aware of your details and do not enter incorrect details. It will show error on while doing process. Do not be confused just follow below process you may get idea of how to link Aadhaar card with bank account online and Offline. 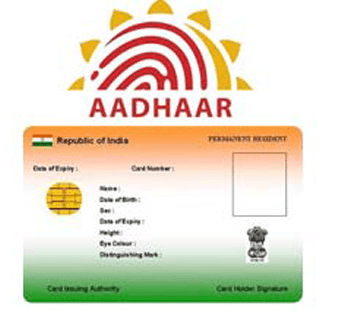 There are two ways where you can link aadhaar card with bank account. The first process is updating the aadhaar card details online by using internet banking. The second process is filling the application form and submitting official bank itself for who do not have internet banking access. If you want to link aadhaar card with your bank account just follow below instructions. let’s start the process. This process is may helpful for whom do not have internet banking access. Do not bother about process here I will try to explain you how to link Aadhaar card with bank account via offline mode. Just follow here step by step. After downloading this form you need to take print out. Just enter your full details. Do not be enter incorrect details be careful while entering your details. In this form you need to fill your bank account number, present Address, IFSC code and Aadhaar number ect. Once you have finished the application form, after that you need to attach the photocopy of your Aadhaar card with itself. Now submit the application form near with aadhaar to bank official. The Official officers will keep the application form for further verifications. Once the verification completed. Then they link Aadhaar card to your bank account. If you want to apply by online there are two things that you should aware of this process. The first thing is internet banking access and Second thing is your bank has a facility to apply this process, then you can apply. There are two banks which you allow to link Aadhaar card with bank account one is SBI and ICICI bank. Here i will tell you how to link Aadhaar card with bank account via online mode. Just take a look here. It does not matter what’s your bank account. just simple open your bank account and login to your internet banking access. once you logged in you need to find out ” Update Aadhaar card details” or “Aadhaar card seeding”. you may get any one of these links. Just click on link and open up other page. you can see there a blinks where you need fill all the information of Aadhaar card. After finishing the whole process just click on the submit button. your online application form will be saved at the bank database. After that the official bank officers will verify your full details then they will processed your application form. Once it’s verified by bank officers you will get some message on your mobile number or via email. That’s it you have complete the process. Now just keep on checking your Aadhar card linking status with bank online.